Add water and spices to a small pot and bring to a boil for approx. 1 min. Add tea bag and soy drink, cover pot, and let steep for approx. 5 min. 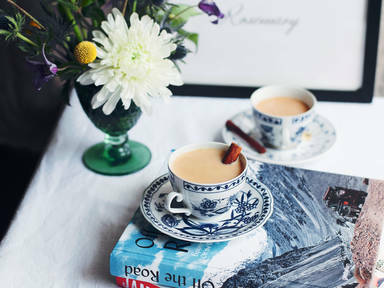 Strain into a tea cup for serving. Enjoy!